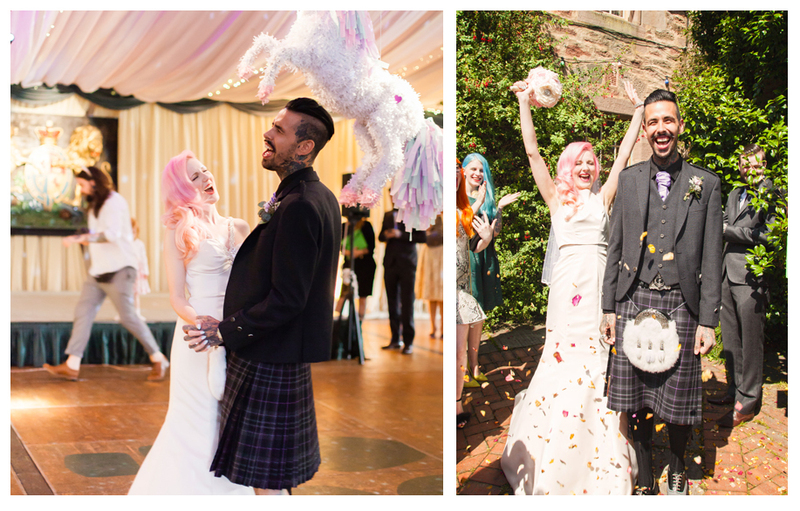 “For our wedding we couldn’t decide on a theme so we just picked things we liked, whiskey, tacos, unicorns, cake, and a venue that looked like a mixture between Alice in Wonderland & Pet Sematary. We wanted the entire wedding to be as personal as possible, not only the ceremony but the music, the food, the outfits. We picked things that were close to our heart, my friend made my bouquet, my mum & I made our bridesmaid dresses & we decided to get customised wedding rings to top it all off! Since BMM designed my Pink Diamond engagement ring (with some help from Rich), it was the obvious choice for us! The process was so easy!